Nothing says simple romance like summer wedding themes. The sun is shining. It’s time for flip flops, sundresses and floppy beach hats. Nothing says simple romance like a summer wedding theme. The sun is shining. It’s time for flip flops, sundresses and floppy beach hats. There is no better time to sink your toes into marriage and join hands for the colder seasons to come. No matter what climate you live in, there are ways to bring a summer wedding to life. You can use soft hues of yellow, white, blue and pink or go with vibrant sunshine-yellow, sandy browns and ocean blues. You can keep it formal and classy or create a lively party that your guests will talk about for days afterwards. 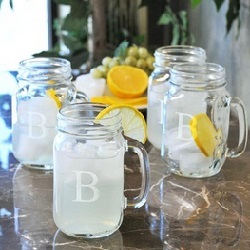 Your summer wedding favors should give your guests a warm glow to lift their spirits after the festivities end. The favor ideas listed below offer something suitable for all age groups, so get ready to brighten up your reception hall and send your guests off with a thoughtful thank you. Plantable Seed Card Favors – Personalized - These seed cards are personalized in memory of your special day, and your guests can tuck them into the dirt at home to watch seeds of your love bloom. Wildflower seeds are attached directly to the card, and the paper will break down naturally as the seeds sprout and grow. 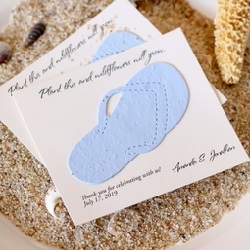 You can select from flip flops, hearts, seashells or wedding cakes as a decorative shape on the front of each card. In addition to customizing the words on the card, you can select from a variety of paper and print colors. 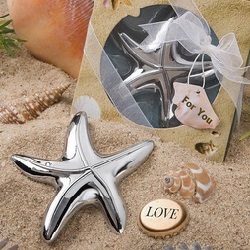 Starfish Bottle Opener - This is the perfect summer-themed wedding favor if you are going for an elegant, classy vibe. Each chrome-finished bottle opener is individually packaged and sealed with a decorative bow. They are shiny enough to grab the light and attract the eye, so your guests will notice them on the table or tucked into a basket by the door. If you are offering a bar at the reception, that is the perfect place to hand out these favors. Beach-Themed Place Card Holder Frames - Let these sandy brown place card holders show your guests to their seats, and then allow each guest to take their seating assignment home. 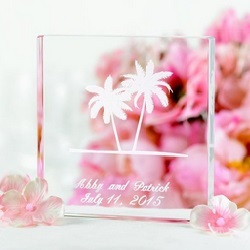 Simply insert names and table or seat numbers into the picture frame hole, and then your guests can swap them out for the picture of their choice at home. This is a functional wedding favor that will never make its way into the trash can post-ceremony. Each frame is packaged individually in a decorative white box. 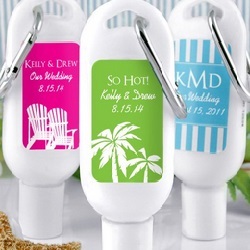 Personalized Sunscreen Favors -These small bottles of sunscreen come with customized labels and carabiners that make them functional summer must-have items. You can select the decorative theme and exact wording to personalize each bottle, and they are perfect for table decorations or hand-outs that your guests can grab on their way out the door. Everyone needs to protect their skin when the sun starts shining, so you can’t go wrong with this type of summer-themed wedding favor. 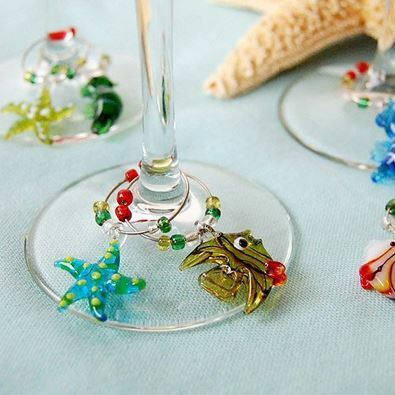 Beach Themed Wine Charms -These delicate yet colorful charms attach to the stems of your wine glasses. They are artfully crafted by hand and feature sea creatures or flip flops of various colors and fun designs attached to beaded circle hooks. Each charm is formed from glass in true Venetian style, giving your guests something of high quality to admire while they enjoy your big day. 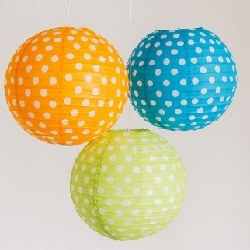 This is a small favor, but it can make amazing impact on your overall decorative design.